Situated to the east of the village, the chateau is surrounded by woodland and vines. Its history dates back to the Middle Ages. Last century, the Breillan estate produced a very correct, carefully crafted, rather robust and deeply coloured wine called “Clos Montaigne”, and a white wine called “Clos du Cardinal”; its tiled-floor winery and its vats, all in varnished oak with their black-painted hoops, were the pride of its owners. 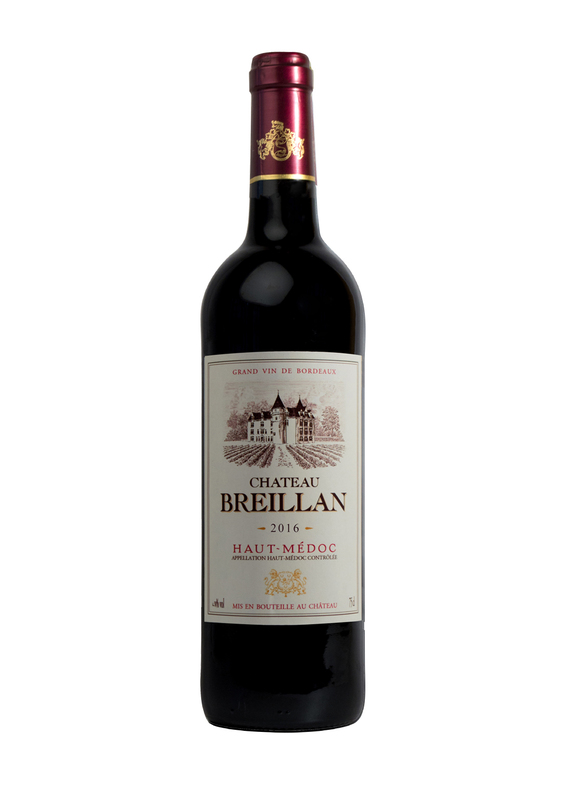 The vines which surrounded Breillan at that time represented just one tiny part of the huge estate attached to the chateau. From fortified residence to simple dwelling, from wine estate to specialised teaching establishment, Chateau Breillan has never ceased to adapt to the times and has succeeded in surviving down the centuries. Blanquefort viticultural college now farms the vineyard, 42 hectares of which are contiguous to Château de Dillon. Throughout the seasons, from pruning to leaf-culling and green harvesting, every effort is made to obtain quality grapes. To ensure the highest possible quality and also to protect the environment, the vineyard is farmed using integrated farming methods: the soil is worked with the aid of efficient farm machinery to restrict the use of chemicals. Managed grass cover is also used. Machine harvesting. The wine is fermented using the traditional Médoc methods in combination with modern techniques for improved quality and greater environmental protection. Maceration prior to, during and after fermentation, 3-5 weeks. Controlled temperatures, 26°C-28°C. The wine is run off after 18-20 days. Malolactic fermentation at 20°C. Aged in stainless steel vats for 18 months.